The market operates rain or shine. If the Market is deemed unsafe to operate due to Weather Conditions, we will notify creators prior to the event date. Off the Grid may decide to implement a rain schedule with a modified layout. If so, the rain schedule will be communicated prior to any weather event. Please be sure to bring all proper equipment for warmer weather or rain. Off the Grid will provide canopies for the trucks for weather. ALL CANCELLATIONS MUST BE DONE THROUGH INFRASTRUCKTURE. LEARN HOW HERE! One cancellation of a scheduled Presidio Picnic event is permitted without a penalty fee if Creator provides at least 15 days notice to Off the Grid of the cancellation. Any additional cancellations including, but not limited to, mechanical problems may be denied or billed in accordance with the below cancellation fees. 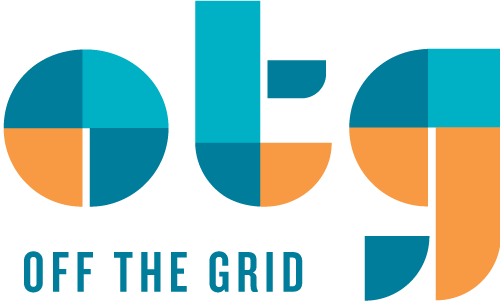 Two (2) or more cancellations during the contract season of any kind may result in the termination of this agreement at Off the Grid’s sole discretion. You are allowed 1 cancellation per season at no cost, as long as you give us 15 days or more notice prior to the event. If you already used your free cancellation this season at FMC, you will be charged $250 per cancellation. Cancellation of a shift due to Health Department Suspension or Permit Revocation: $250 per missed shift within 72 hours, and $250 per missed shift thereafter within a consecutive fourteen-day period starting from the first missed scheduled shift. If a Creator decides to not honor the remaining amount of the contract, the Creator will be billed $250 per missed shift until the end of the season. *Note - Submitted absence requests will be permitted on a first come first served basis. Requests may be denied due to the volume of requests. Limited requests will be permitted on large festival weekends such as Outside Lands, Eat Real, Hardly Strictly Bluegrass, Bottle Rock, NorCal Night Market, and the San Francisco Street Food Festival. What happens if I am late for my event? If you arrive after the designated arrival time, a $50 late fee will be enforced. This will be processed with your regular market fees.